To many people, Krisiun has been a band synonymous with unshakeable reliability in death metal for over twenty years. 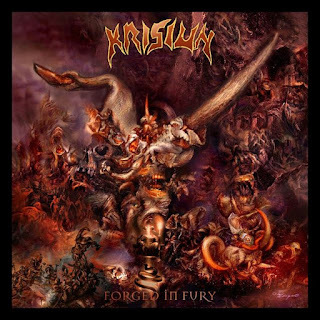 Refusing to compromise stylistically is fair enough, but Krisiun has had a couple of albums that have fallen beneath their typical standard and sadly, ‘Forged in Fury’ is one of those albums. The other most obvious example, ‘Ageless Venomous’, was almost completely ruined by an unconscionably loud and clicky kick drum sound rather than weaker material. While ‘Forged in Fury’ is certainly much easier on the ears than ‘Ageless Venomous’, it suffers equally from a lack of energy and excitement. In taking a look at “Ways of Barbarism”, the album’s second song, we get a microcosm of ‘Forged in Fury’ as a whole. Long stretches of the song are built around redundant syncopation and uninspired blasting sections. It’s a strange thing to listen to: a band putting so much physical exertion into material that seems so half-hearted. With ‘Forged in Fury’ being the end result of the band’s longest gap between albums to date, it raises a fair question as to whether or not Krisiun has run its course. I would argue that one especially flat album isn’t enough to start making funeral arrangements. Still, even without using the rest of the Krisiun’s discography for context, ‘Forged in Fury’ is too long for the style and a chore to get through. ‘Forged in Fury’ isn’t without merit altogether, in fact even at its worst the album is boring rather than outright bad. The opening section of “Soulless Impaler” features a fun but deliberately-paced galloping rhythm that almost sounds like it’s building itself into something resembling a mid-tempo Testament song. Unfortunately, it isn’t too long before it finds itself in the same trap that hobbles most of ‘Forged in Fury’. Even so, it’s different enough from the rest of the album that it serves as a real bright spot when compared to the more or less mechanical nature of the material surrounding it. 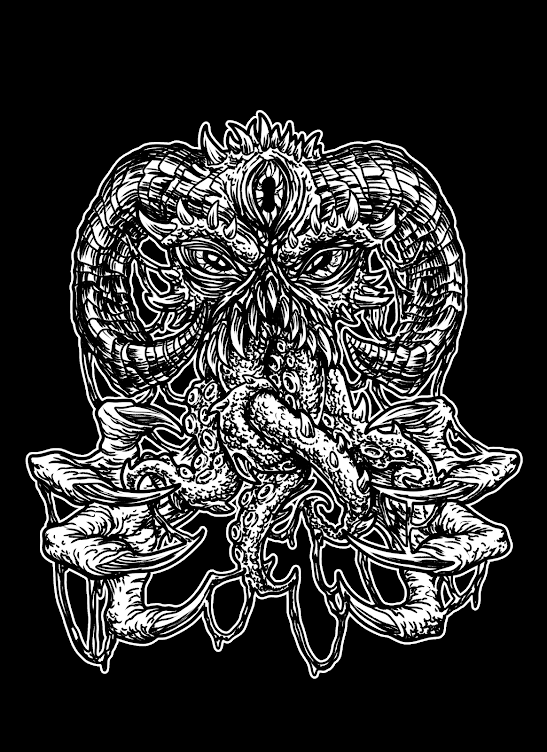 The song also reveals that it’s slower brooding riffs that seem to Krisiun’s strong suit in 2015, as weird as that sounds. That’s particularly surprising for someone like myself who was first introduced to Krisiun in the 90s with ‘Black Force Domain’. That album along with 2000’s ‘Conquerors of Armageddon’ remain the band’s best to date, and they were largely built on the strength of Deicide-style blast n’ trem, albeit faster and more vicious. Twenty years later, the old formula has lost its lustre, and so have the rhythmic tricks that helped stretch out the length of its usefulness. There is still hope left, but it would likely require a drastic change, and that’s always a tough sell when something has worked for so long. There’s always a chance that they can coax something meaningful out of their tried-and-true methods on their next album, but ‘Forged in Fury’ plays like a case of diminishing returns. As a fan, it’s is all the more reason to root for something special the next time around.